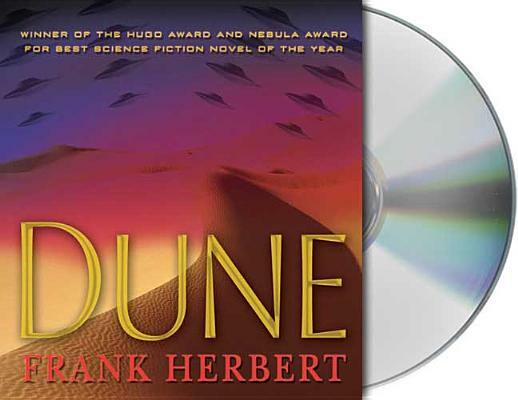 In all, Frank Herbert wrote nearly 30 popular books and collections of short stories, including six novels set in the Dune universe: Dune, Dune Messiah, Children of Dune, God Emperor of Dune, Heretics of Dune, and Chapterhouse: Dune. All were international bestsellers, as were a number of his other science fiction novels, which include The White Plague and The Dosadi Experiment. His major novels included The Dragon in the Sea, Soul Catcher (his only non-science fiction novel), Destination: Void, The Santaroga Barrier, The Green Brain, Hellstorm's Hive, Whipping Star, The Eyes of Heisenberg, The Godmakers, Direct Descent, and The Heaven Makers. He also collaborated with Bill Ransom to write The Jesus Incident, The Lazarus Effect, and The Ascension Factor. Frank Herbert's last published novel, Man of Two Worlds, was a collaboration with his son, Brian. Ilyana Kadushin is best known for her narration of the Twilight audiobook series, and has worked on other audiobooks, including The Memory Keeper’s Daughter, Post Grad and Dune, which won an Audie Award. Her other voice work includes national commercials, animation, and popular video games such as Lord of the Rings. Kadushin has performed as both an actor and a singer for companies including Nickelodeon, BBC America, Sesame Street Television, MTV, and Cartoon network. She sang on the soundtrack of HBO Best Documentary Film Award & Finalist Separate But Equal.